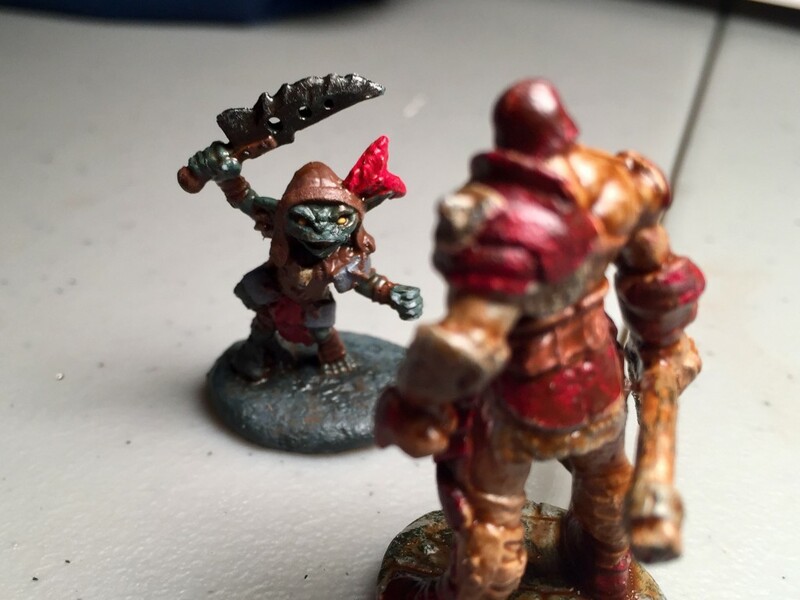 I painted this little goblin. He is small, but scrappy. He’s fighting Sindren, who I also painted, but I’m not as proud of him. Sorry buddy.